I am a MASSIVE fan of CUTE THINGS. Everything cute. 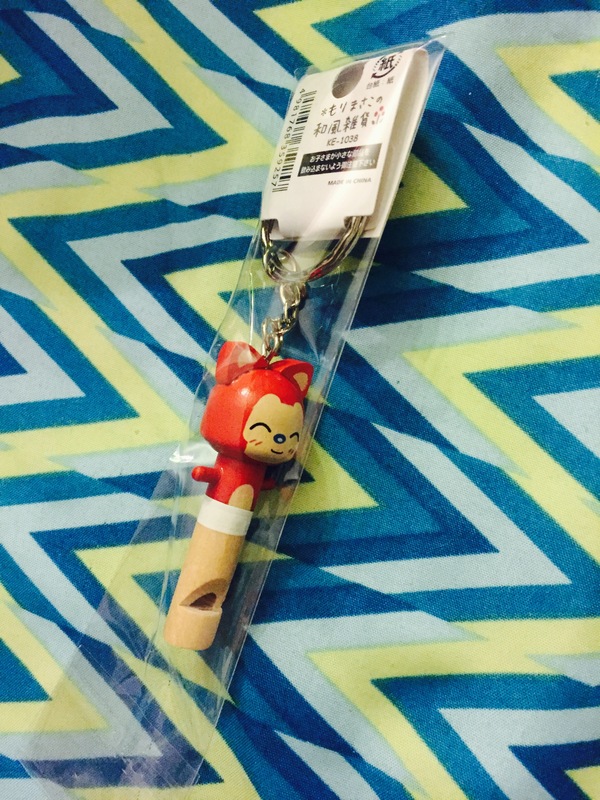 I also love anime and anime accessories. 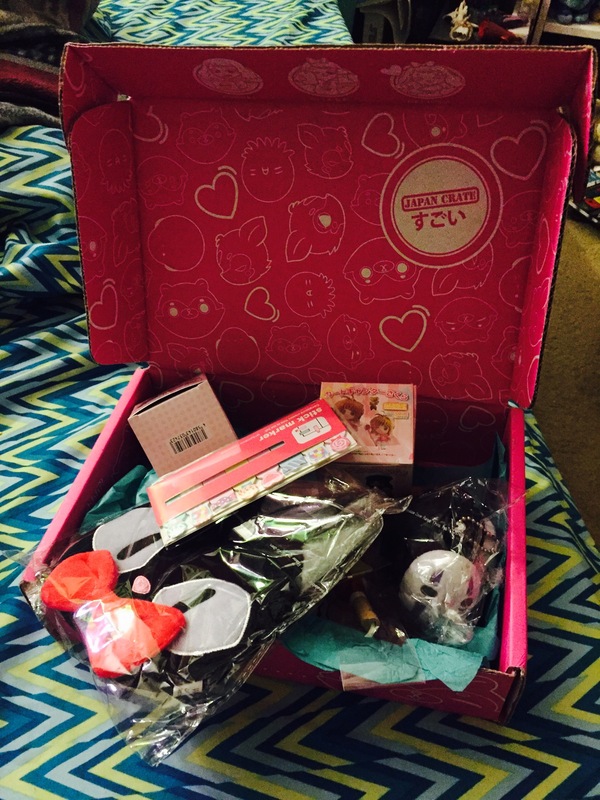 So I ordered a DOKI DOKI box. Check it out. WOW ?!!!?!!!!! ADORABLE!!!!!!!! what was inside?? 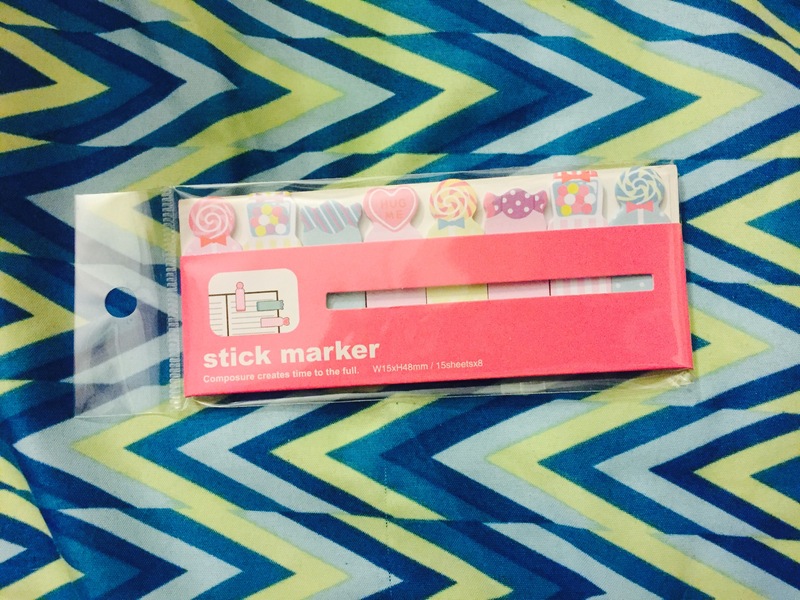 Cute sticker divider page marker things!!! 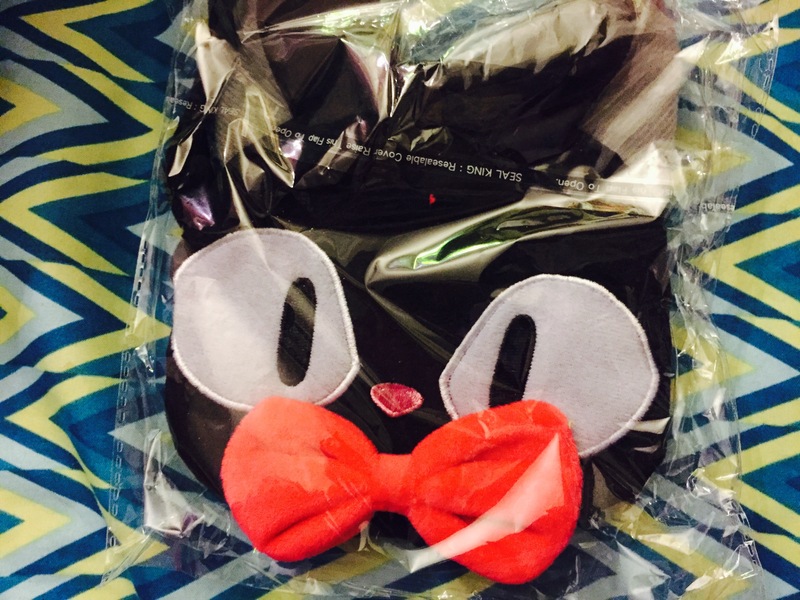 A GIGI BAG!!!! I’m going to use it for makeup. It’s pretty cute, purse sized and spacious. Ok I was v. excited about this because I love cats and this one looks JUST LIKE MY CAT and he makes different expressions. 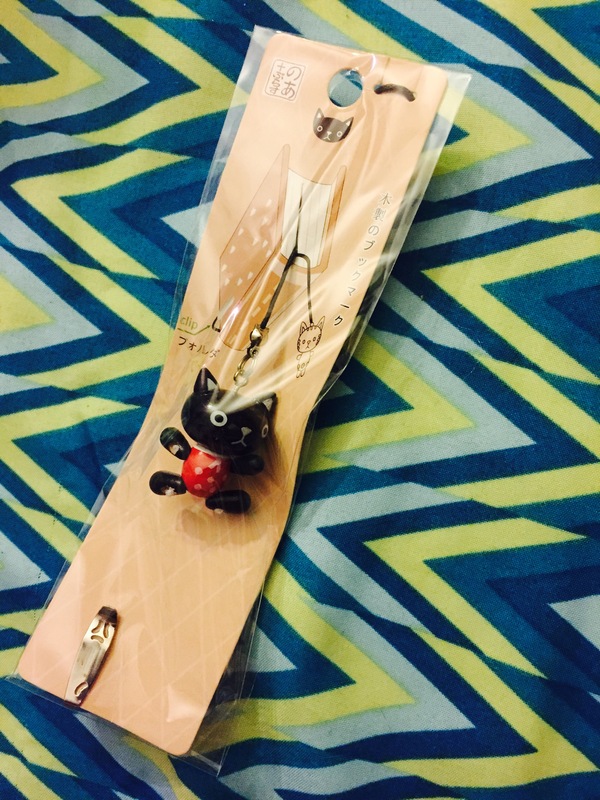 TWO PAGE MARKER BOOK MARK CHARMS WITH CATS!!! 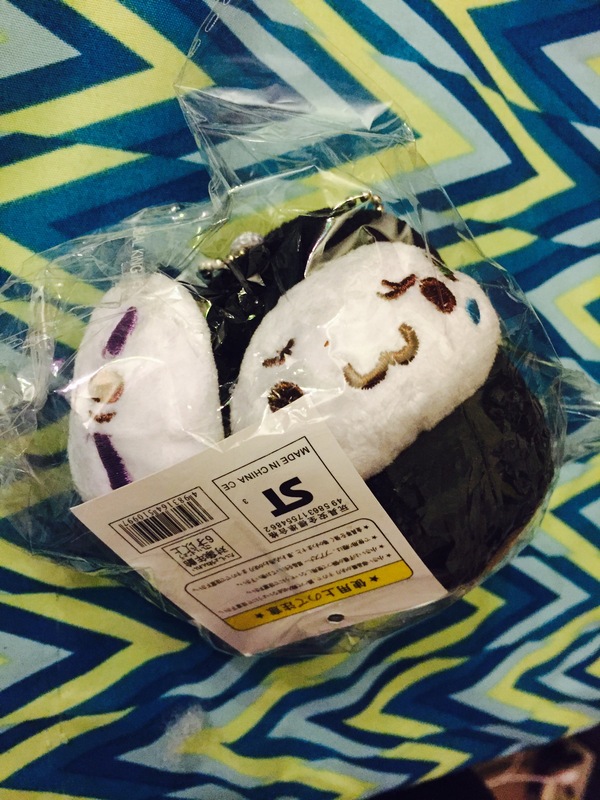 TWO CATS!!! I LOVE IT!! 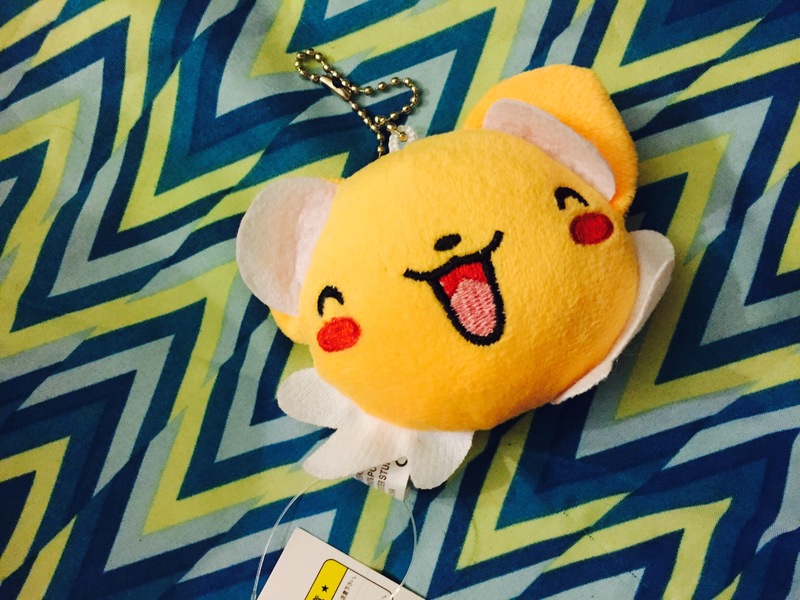 I love Cardcaptor Sakura more than I love myself, and this is a fluffy Kero Chan keychain from Cardcaptor Sakura. 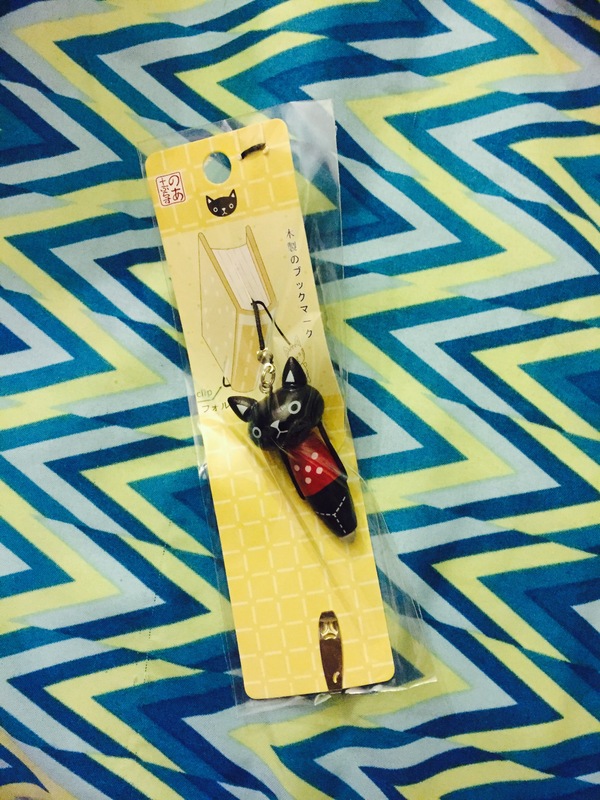 It’s getting clipped on my bag instantly. 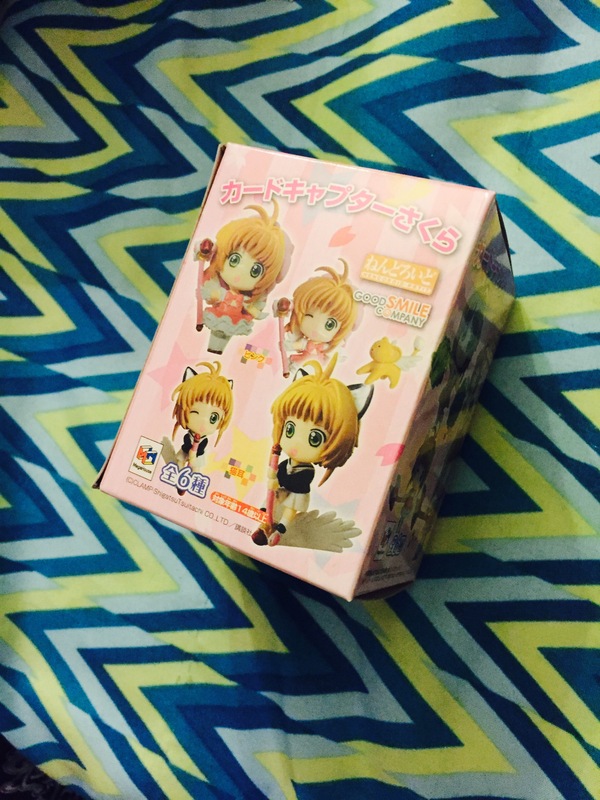 Another Cardcaptor Sakura item !!!! Yeeeee!!! 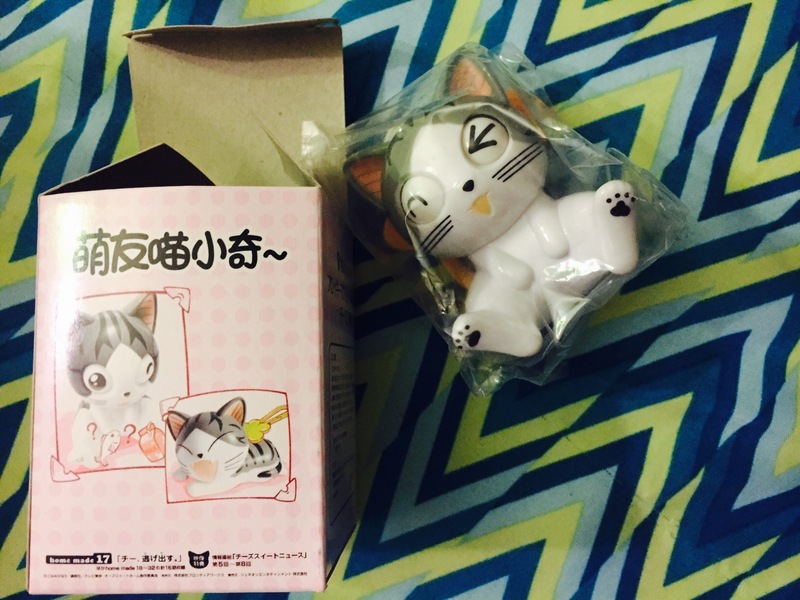 I collect these figures anyway and I got one I didn’t have, so yay!